When Tim goes exploring at Dinosaur Rocks, he meets towering sauropods, soaring pterosaurs, leaping kronosaurs and many more Australian dinosaurs. Some are friendly, but others are dangerous!! Will he find his way back home...in time for bed? 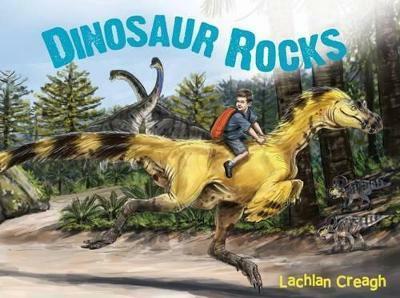 Children will love learning about life 65 million years ago with this colourful and fascinating book.